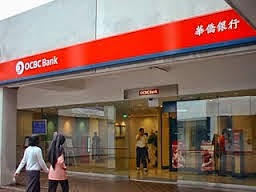 In the past few weeks, the news about OCBC rights issue has been most discussed in social media. By now, whether or not you are existing shareholder, you would have heard about the bank giving the shareholders to own rights share at $7.65 each. If you have been following my blog, you know that in May I have written about this bank. You can still read it from here. I was at the bank this morning as I was having problem with my ATM access. The bank was particularly crowded as it was weekend and also maybe lots of people were there for the rights issue. While waiting for the staff to help me, I overheard people enquiring about the rights shares. I dont mean to eavesdrop but you can just hear people talking in the closed environment. One nice thing about this bank is that they always have few of their staffs walking around in the waiting area offering help. Interestingly over the span of 15mins, this is what some of these people asked the staffs who were there in many to help. One lady was asking the staff, how many rights shares she can apply. This is amazing, didnt she received the letter. Another lady was asking how many excess of the rights shares can she apply. And when she tried to apply, she realised she does not have enough cash in her bank account. On seeing the long queue, an old lady asked when is the closing date for the application. Although this is just observation at one of the branch, I believed this is the same phenomena across all other branches, as many shareholders are interested and will be applying the rights shares. As such, the probability of getting the excess shares will be low. Have you applied for yours?